A toilet that leaks or runs is an easy homeowner fix, if you know how to diagnose the problem. 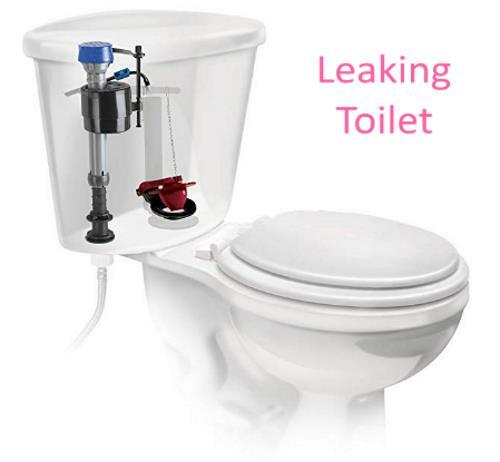 With the right parts it’s easier and cheaper than you think to fix a toilet leaking. Follow this step-by-step instructions to repair a running toilet tank. How to Diagnose the toilet water leaking problem ?? Our guide can help you diagnose the problem and get it fixed. Take a look inside the tank. Older Toilets come with with float ball. Water on the toilet floor could signal the need for a minor repair, a major one or even a new toilet. A toilet flapper in the toilet tank opens to allow water out of the tank and closes to let it to refill. The most common cause of a leaking toilet tank is when the flapper fails to seat properly and form a tight seal against the valve seat. Flappers are inexpensive (Under $4), easy to repair, and they work. Flapper styles vary somewhat, but a universal flapper should work on most toilets. All toilet flappers degrade over a period of time, they’re made of rubber. Most usually last only 5 years or so. Just replace it again. How to check if its a Toilet Flapper Issue ?? Many people often wonder if the toilet flapper is bad and have no idea how to tell if it is or not. If the water flow reduces or stops completely when slight pressure is applied on the flapper is a good indication of flapper gone Bad. When the toilet flapper gets old the plastic will start to become brittle and pieces of it will start to fall off. Toilets with bad flapper can waste up to 200 gallons of water per day. If your toilet flapper is leaking, you should try to get it replaced as soon as possible. Die tablets or food coloring can be used in a tank to confirm a slow leak. Always wipe slime and/or debris from the underside and flush valve seat with a clean cloth. The chain connecting the toilet flapper to the flush handle is the source of many flushing problems. If the flapper chain is too long, the flapper won’t lift all the way & will drop too soon, resulting in an partial flush. 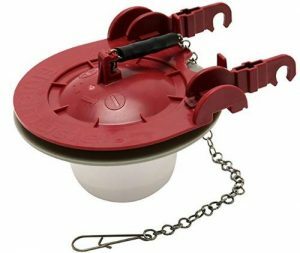 If the chain is too short, on the other hand, the flapper lifts too high and doesn’t drop back into position. One has to adjust the chain manually to get the best outcome. Toilet Flapper’s cost less than $5 on average in walmart & amazon, so if your toilet is doing the phantom flush, it’s usually better to replace the flapper than try to repair it. A broken flush valve prevents your toilet tank from forming a seal to hold water in the tank. Toilet fill valves refill the toilet tank and bowl to the correct water levels after flushing. If the toilet continues to “run” after the flush, it may well due to a faulty fill valve and needs to be replaced. If the fill valve fittings are corroded or damaged, you may need to replace the fill valve. This is not an expensive part and they are readily available at home supply stores like home depot, lowes, walmart and more. Sometimes adjustments to the fill valve can resolve some of the problems. Each type of fill valve has a method for adjusting the water level in the tank. Water pooling around the base of a toilet is a bad sign, and if you can smell sewer gases, it probably means the wax ring seal has broken. There’s no other way to fix it other than to pull the toilet and replace it. No one wants to deal with toilet troubles? It is one of the most irritating things once would regret to experience. Flapper leaks are the most common leak point and always leaks directly into the toilet bowl.